who saved his crew with a spray. 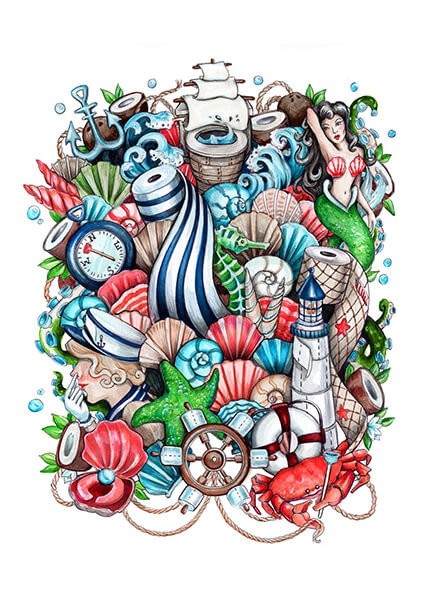 now it's smooth sailing anchors aweigh! 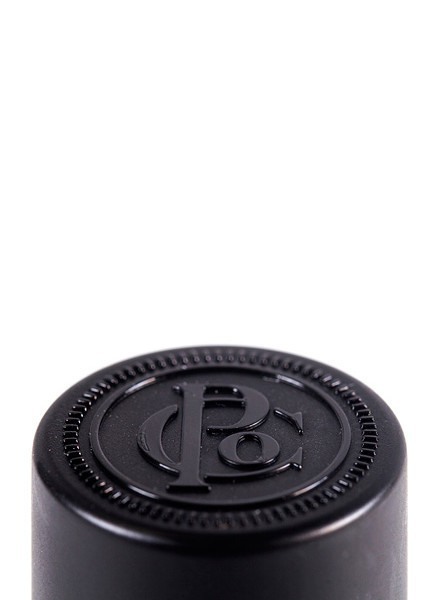 Bury your treasure with aromatic pleasure! 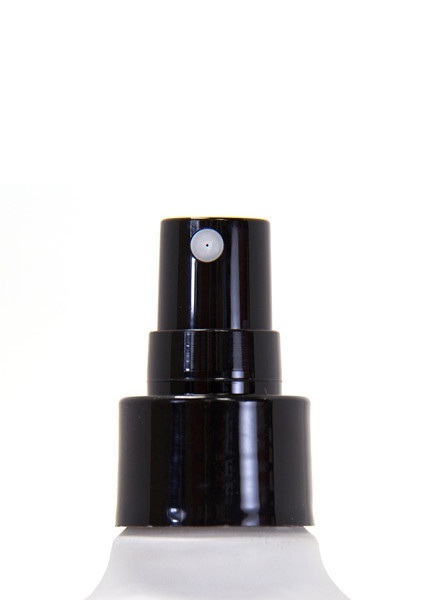 Make odor nothing more than a whale of a tale. 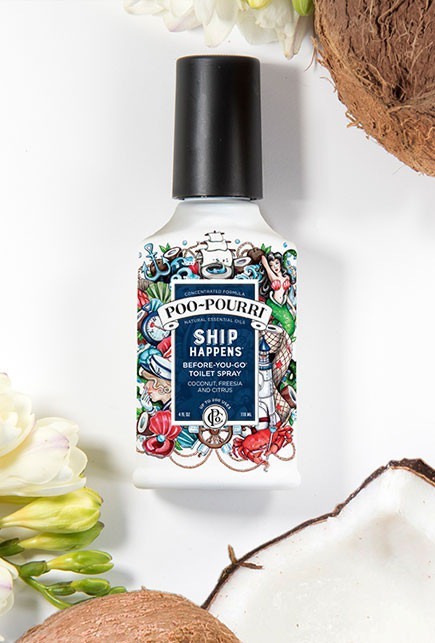 Poo~Pourri Ship Happens is a pure blend of natural essential oils that eliminates bathroom odor before it begins and leaves the poop deck smelling better than you found it. 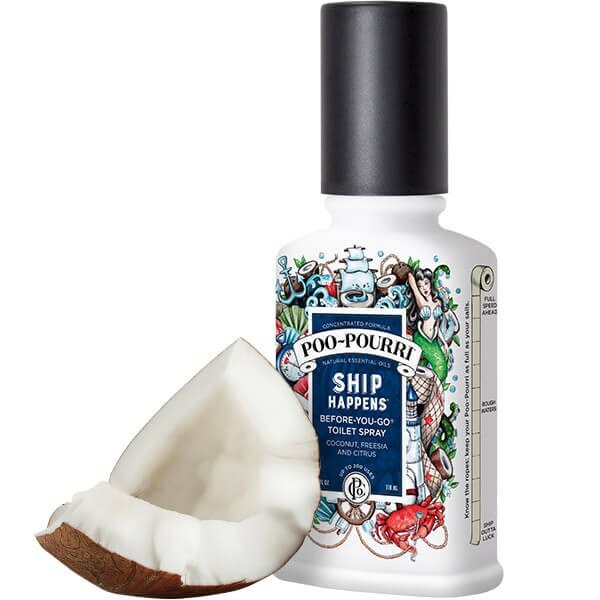 With Poo~Pourri as your First Mate, you can drop anchor anywhere!